DORIN FRANKFURT has a knack for creating timeless wardrobe staples that we instantly desire. 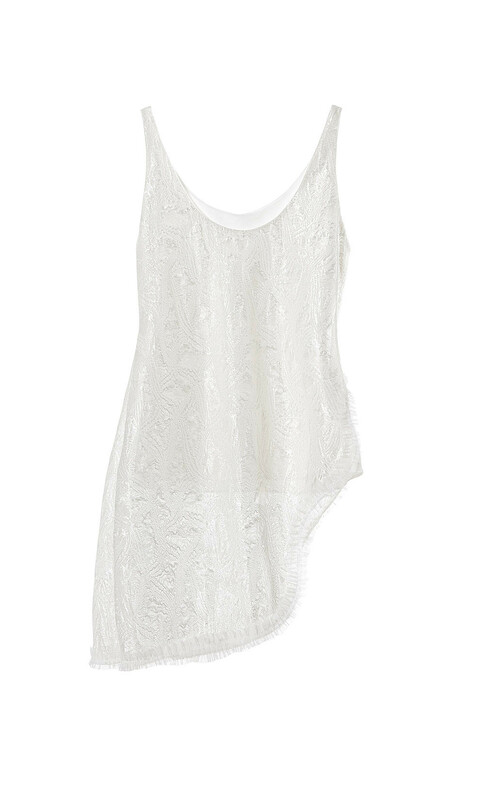 This structured short top has an asymmetric lace overlay detailed with a textured ribbon hemline. Wear it with the brand’s tailored black trousers to enhance the shirt’s elegance.